Bitburger offers its alcohol-free thirst quencher Bitburger 0.0% and Bitburger Premium Pils free of charge at the pasta party. 24h riders will also receive several vouchers with their starting documents, in exchange for which they will receive a Bitburger 0.0% (0.3 l) each in the finish area. All other participants will receive a voucher and a free drink each. Of course there will also be aid stations on the race track. As every year, the aid stations for 24h cyclists on the “Hohe Acht” remains open around the clock. The additional Dextro Energy beverage station on top of the “Kesselchen” climb is in service starting at approximately one hour after the start of the race and remains open until the end of the 24-hour races. 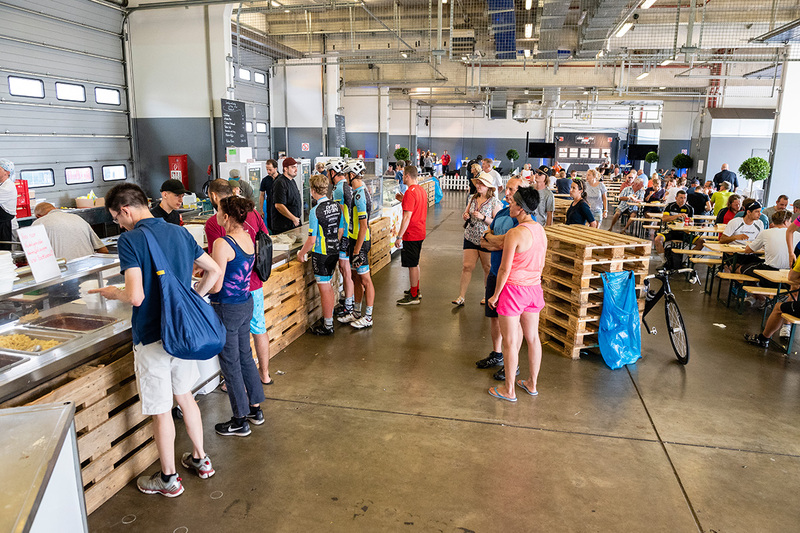 On the mountain bike track, a 24-hour catering service will also be set up directly at the course in the area of “Graf-Ulrich-Halle”. Beverages, including energy drinks, cereal bars, biscuits, fruit, salt sticks and savory food are available at these aid stations. 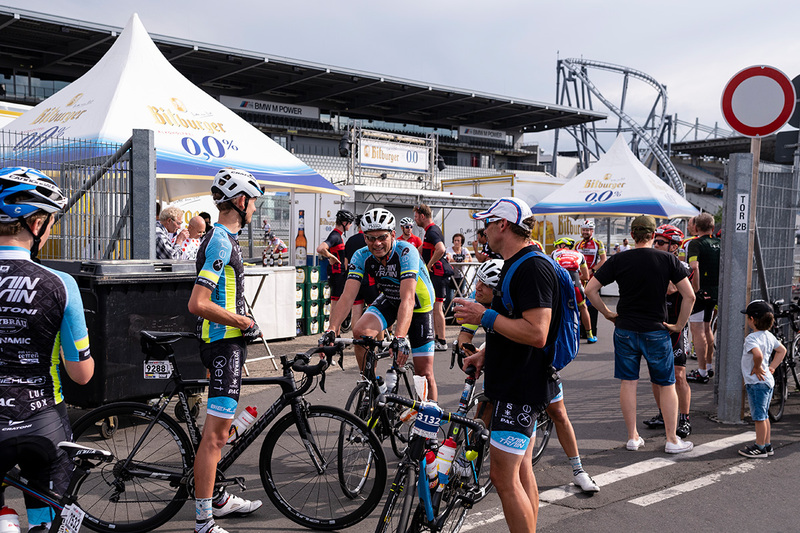 As every year, the aid stations for 24h cyclists on the “Hohe Acht” remains open around the clock and may also be taken advantage of by amateur race cyclists. Beverages, including energy drinks, cereal bars, biscuits, fruit, salt sticks and savory food are available at these aid stations. For the participants of the MTB-Marathon, the aid station at the “Hohe Acht” will be moved from the Nordschleife to the mountain bike track. It will offer drinks, including energy drinks, cereal bars, biscuits, fruit, salt sticks and savory food. An additional drinks counter is located in track section 13 (directly in front of the ramp at the start of the lap). There is also the Feed- and Tec-Zone, which can be occupied by helpers of the marathon riders.